My family member takes Magnesium Oxide by Douglas Laboratories for regularity and vitamin deficiency. I trust the purity of Magnesium Oxide. I wish there was a 250 mg. You have to build a tolerance to magnesium to avoid gastric distress. This product has been my miracle. I struggle with a health condition in which the medicine I take causes constipation. I am functioning normal for the first time in years. Your skeletal and cardiovascular systems require throughout your lifetime. When you age‚ those systems are at greater risk for disease and inflammation. Regular exercise (at least 30 minutes per day‚ four days per week) and a nutrient-rich diet low in salt‚ sugar‚ and saturated fat can help. However‚ if you're post-menopausal‚ have a family history of heart or bone diseases‚ or just need additional support‚ you may want to take a magnesium supplement. Although most people focus on taking calcium or vitamin D supplements to support their skeletons‚ magnesium is another important nutrient. Almost half of your body's magnesium content is in the bones‚ while the other half circulates through the bloodstream. Magnesium helps calcium and vitamin D promote bone strength. It also helps prevent potentially painful inflammation. The average adult gets enough magnesium through diet; however‚ some people take magnesium to help prevent a deficiency or to treat one. 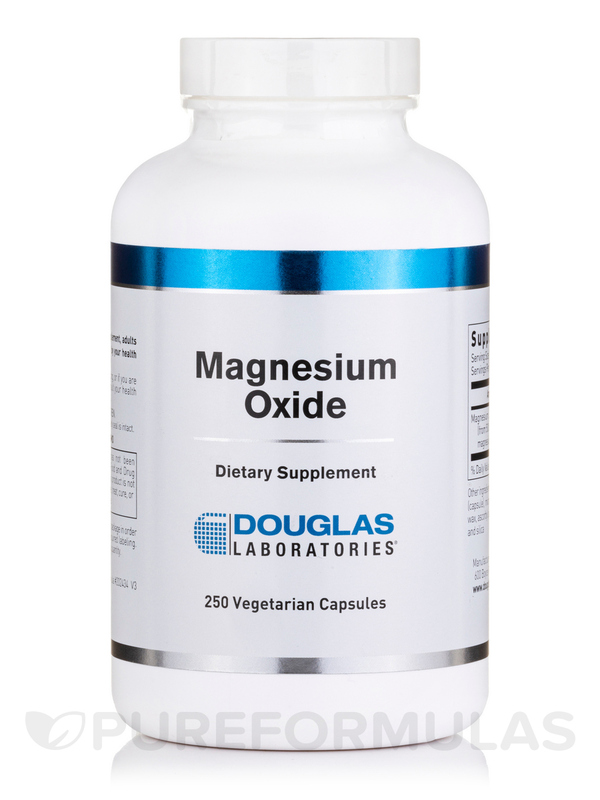 Magnesium Oxide 500 mg by Douglas Laboratories provides enough of the mineral to help prevent and treat magnesium deficiency. In addition to its benefit to your bones‚ it also supports cardiovascular health. 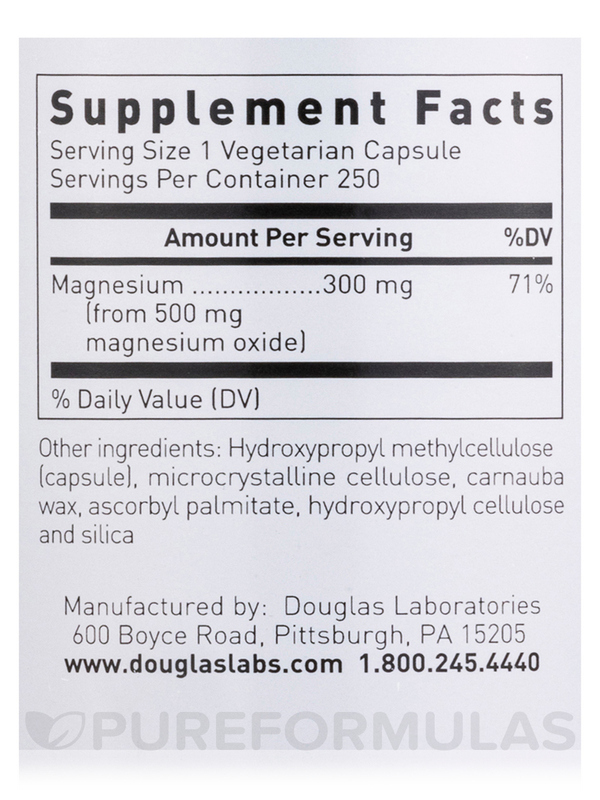 Each bottle of Douglas Labs’ Magnesium Oxide 500 mg contains 250 capsules‚ which should last for approximately 25 days if taken at the recommended daily dosage of one capsule per day. Other Ingredients: Hydroxypropyl methylcellulose (capsule)‚ microcrystalline cellulose‚ carnauba wax‚ ascorbyl palmitate‚ hydroxypropyl cellulose‚ and silica. 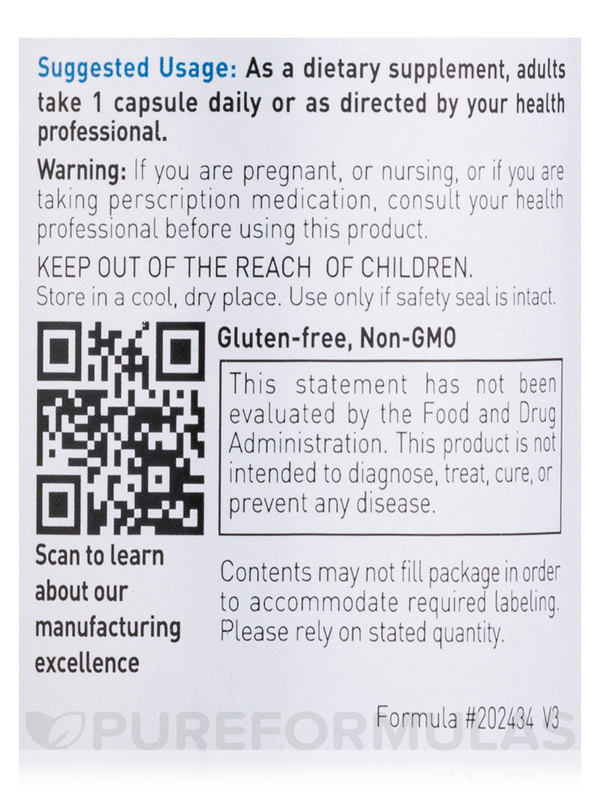 As a dietary supplement‚ adults take 1 capsule daily or as directed by your health professional. Reasonable priced and it works! I have lived with chronic headaches and migraines for over 10 years. 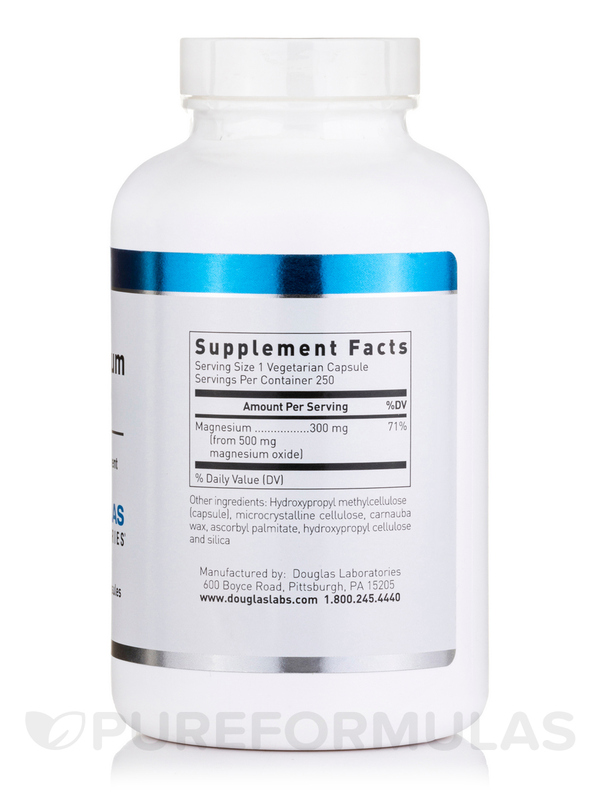 Since starting with Magnesium Oxide 500 mg by Douglas Laboratories, my life has improved tremendously! I ran out once, and decided not to reorder, my headaches increased and I started having myoclonic jerks that would completely throw me off balance. My neurologist admitted me for testing, and my magnesium level was near 0. After a brief stay in the hospital, and a lesson learned, I have never allowed myself to run out of my Magnesium Oxide! They are larger capsules, so some people may have some difficulty swallowing them. Magnesium Oxide 500 mg by Douglas Laboratories can cause diarrhea which I was not aware of. I have IBS-D so I need a Magnesium stearate. I have to use Magnesium Oxide 500 mg by Douglas Laboratories to keep my G.I. track functioning properly. This brand has worked exceptionally well for me. This price is the most reasonable I have found for this particular brand and the shipping was as described. I ordered Magnesium Oxide for my daughter who has fibromyalgia. Her doctor recommended Magnesium Oxide since she has frequent diarrhea and cannot tolerate Magnesium Citrate. The doctor recommended the Magnesium Oxide to help with muscular pain. It comes in a capsule and is easy to swallow. I am thrilled to discover this product. This product is exactly what I was looking for and has no side effects. I ordered Magnesium Oxide as a supplement to my diet as use for a digestion aid and it is effective not at all harsh and I appreciate that fact that there are no unnecessary additives. It was effective with no side effects. 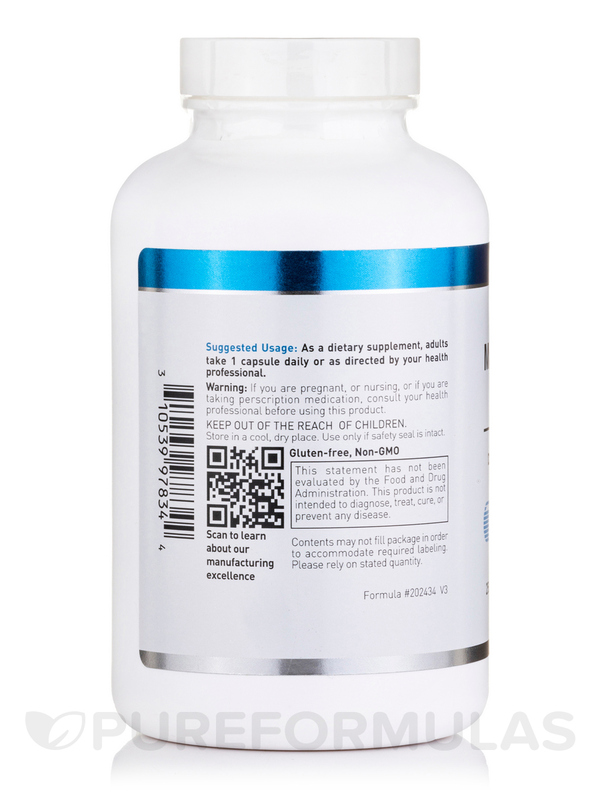 I ordered this item as a suppliment to my diet as use for a digestion aid and it is effective not at all harsh and I appreciate that fact that there are no unnecessary additives. - quality - price - aids with insomnia constipation depression kidney stones osteoporosis - facilitates calcium absorption.